Assistant professor, Dept. 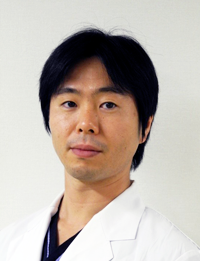 of Cartilage regeneration, Tokyo Medical and Dental University, Tokyo, Japan, July 2010 to March 2012. Assistant professor, Dept. of Joint Surgery and Sports Medicine, Tokyo Medical and Dental University, Tokyo, Japan, April 2012 to March 2016. Junior associate professor, Dept. of Joint Surgery and Sports Medicine, Tokyo Medical and Dental University, Tokyo, Japan, April 2016 to March 2017. Associate professor, Dept. of Joint Surgery and Sports Medicine, Tokyo Medical and Dental University, Tokyo, Japan, April 2017 to present. Taos Orthopaedic Institute Meeting. Taos, USA, January 2018. University of Pittsburgh Sports Meeting. Pittsburgh, USA, January 2018. Hospital for Special Surgery Orthopaedic Soft Tissue Research Meeting. New York, USA, January 2018. 61th Korean Orthopaedic Association Annual Meeting. Seoul, Korea, October 2017. 2 symposiums at 9th JOSKAS, Sapporo, Japan, June 2017. IOC World Conference on Prevention of Injury & Illness in Sport, Monaco, March 2017. 17th ESSKA, Barcelona, Spain, May 2016. New Sports Medicine Concepts in Handball, Doha, Qatar, January 2015. 87th Annual Meeting of Japanese Orthopaedic Association, Kobe, Japan, May 2014. 2 symposiums at 9th Biennial ISAKOS Congress, Tronto, Canada, May 2013. Sports Injury Prevention Forum, Tokyo, Japan, February 2012. IOC World Conference on Prevention of Injury & Illness in Sport, Monaco, April 2011. 11th Rheumatoid Arthritis Forum, best paper award, January 2007. Uehara Memorial Foundation, postdoctoral fellowship, 2008. Mitsukoshi Health and Welfare Foundation, international research fellowship, 2008. Norwegian Congress of Sports Medicine, Nycomed Pharma Award (best paper award), November 2009. 23 peer-reviewed international publications as a first author and 8 as a corresponding author. 67 peer-reviewed international publications as a co-author.